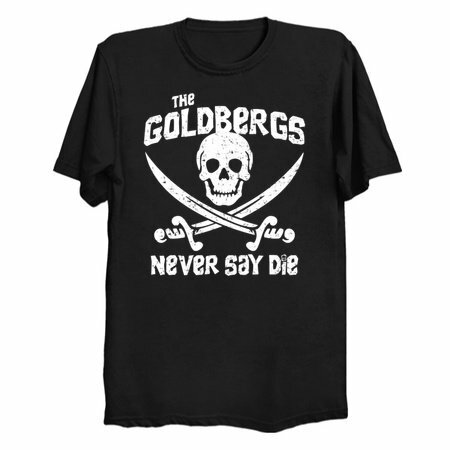 If you love the 80's or a big fan of the TV series, The Goldbergs Never Say Die tribute T-shirt is perfect for you. In the TV series, Adam (played by Sean Giambrone) finds a treasure map in the attick, which launches a Goonies-style adventure with his siblings. 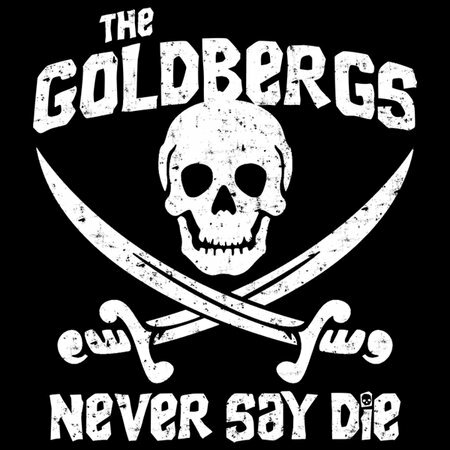 In real life, Adam F. Goldberg was obsessed with The Goonies when he was young (and still is today, actually). This T-shirt, designed by Feistees and vetted by Adam F. Goldberg himself, is an excellent tribute to one of the greatest decades in pop culture.